Plaque is basically a growth of bacteria in your mouth, on your teeth. It will grow all of the time and is the root of the majority of dental problems. Failing to remove it regularly will result in caries (tooth decay), pain, broken teeth, abscesses, and periodontal (gum) disease. 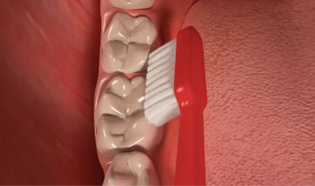 It is therefore essential to brush 2-3 times every day in order to keep your teeth and gums healthy. If plaque is left for a long period of time, it will become very thick and visible on your teeth, it will also harden and turn into tartar which you cannot remove at home. Our hygienists will be able to professionally clean your teeth and remove the tartar deposits, to help treat gingivitis (red gums) and periodontal (gum) disease.